February is the month of love, and in 2019, it’s all about seafood lovers as the 11th annual Ocean Wise Seafood Chowder Chowdown takes over the galleries of the Vancouver Aquarium on Thursday, Feb. 21. This year’s event will feature 14 chowders from Ocean Wise Seafood partners in B.C. Ocean Wise Executive Chef Ned Bell will play backup for his own sous chef, Stacy Johnson as she steps into the Chowder Chowdown spotlight. Other culinary heavy hitters taking part in the friendly competition include Chef Chris Whittaker of Quaaout Lodge and Spa, Chef Welbert Choi of Forage, Chef Clement Chan from Torafuku, Chef Jason Labahn from Honey Salt, and many more. The goal? 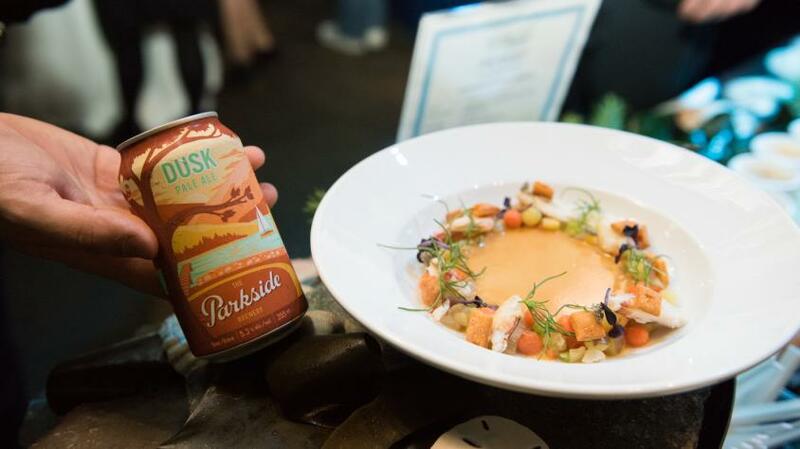 To win the title of 2019 Ocean Wise Seafood Chowder Chowdown Champion, as judged by an industry and media panel. The panel will also name a winner for best chowder and beer pairing, and guests will have their say by casting their vote for the People’s Choice Award winner. Along with delicious chowders, guests can enjoy brews from some of the province’s best beer makers, including Stanley Park Brewing, Red Racer Beer, Steel and Oak Brewing Co., R + B Brewing, Driftwood Brewery, Howe Sound Brewing, Fuggles and Warlock Craftworks, Moody Ales, The Parkside Brewery, Whistler Brewing and Vancouver Island Brewing. Other beverage providers include Arterra Wines, Peacock + Martin, Lone Tree, Walter Caeasar, Resurrection Spirits, Georgia Bay Spirit Co, Wayward Distillation House, and Salt Spring Coffee. Additional event sponsors include Coastal Shellfish, Albion Farms & Fisheries, Berezan Shrimp, Gindara Sablefish, Planet Shrimp, Organic Ocean, and Transtar. Tickets to Ocean Wise Chowder Chowdown are $78.75, including GST, and can be purchased at www.vanaqua.org/chowder. This event sells out each year so get your tickets early to avoid disappointment.